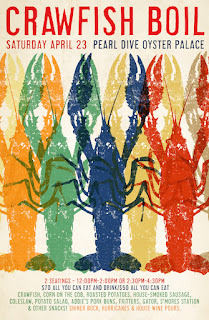 Pearl Dive Oyster Palace and Black Jack will host their popular annual Crawfish Boil on Saturday, April 23, 2016. 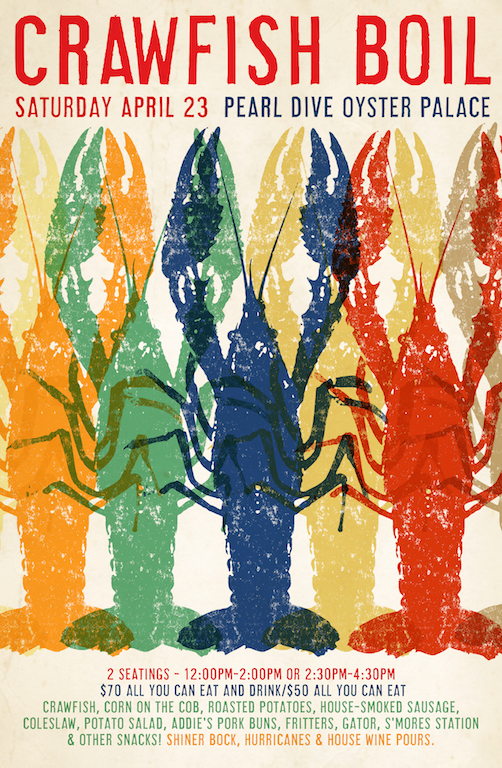 Diners can look forward to a spread of traditional Louisiana-style crawfish accompanied by a variety of Southern sides prepared by Chef Austin Ginsberg including corn on the cob, roasted red potatoes, house-smoked sausage, cole slaw, fritters and potato salad. Guests will also be treated to dishes like roasted gator and Pearl Dive’s famous Addie’s rolls stuffed with BBQ pork. Beverage options for those with a drink-inclusive ticket will include Shiner Bock, Hurricanes and house wine pours. To round out the meal, the restaurant will offer a build-your-own s’mores station for dessert. Food-inclusive tickets can be purchased for $50 per person, and food and drink-inclusive tickets will be available for $70. Tickets can be purchased here. WHEN: Saturday, April 23, 2016 with two two-hour seatings from 12 noon to 2:00 PM, and 2:30 PM to 4:30 PM. WHERE: Pearl Dive Oyster Palace is located at 1612 14th Street, NW, Washington, DC 20009. It is Metro accessible from the Red and Yellow and Green lines, located five blocks from the U Street/African-American Civil War Memorial/Cardozo Station, and six blocks East from the Q Street exit of the Dupont Circle Metro Station. 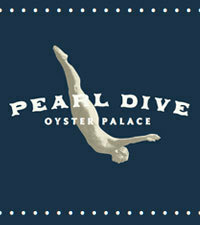 For additional information about Pearl Dive, call (202) 319-1612, or visit www.PearlDiveDC.com. Pearl Dive Oyster Palace is located at 1612 14th Street, NW, Washington, DC 20009. Pearl Dive Oyster Palace is open for brunch Friday, Saturday and Sunday from 11:00 AM - 3:00 PM, and for dinner Monday through Saturday from 5-11:00 PM. and Sunday from 5-10:00 PM. For more information, please call the restaurant directly at (202) 319-1612 or visit www.PearlDiveDC.com. Like on Facebook at www.facebook.com/PearlDiveDC and follow on Twitter at twitter.com/PearlDiveDC.